Xi'an MoshuGroup Instrument CO.,LTD is a professional high-technology company which focus on manufacturing, developing and selling of industrial automatic instruments. We devote ourselves to application and dissemination of automatic instruments since established. We strive to build own national brand all around the world. Our company possesses an incomparable level of expertise, which provides high-tech products for our global purchasers. 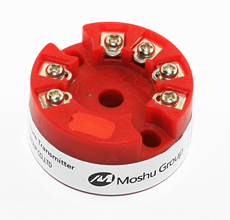 ● Why use isolated transmitters for non-grounded RTD applications?